Meet Alex Adams, PerformancePro director of education and strength and conditioning coach. In addition to coaching clients, Alex leads the ongoing professional development of his PerformancePro colleagues. 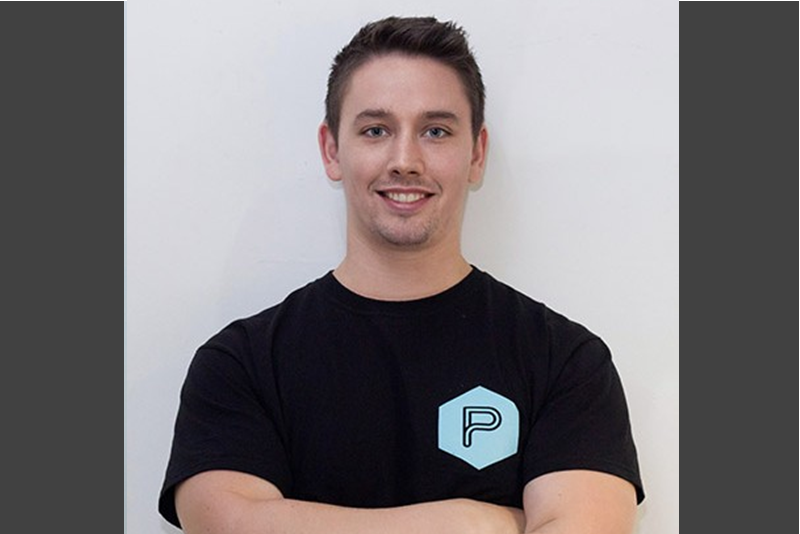 Alex works closely with the PerformancePro team to share knowledge and experience, to reinforce PerformancePro’s ethos of intelligent fitness each and every day. First and foremost Alex is motivated by his love of physical training and his desire to share that passion with others. Alex has been a personal trainer since 2006, starting out in his home town of Hitchin – just north of London. Soon after leaving school, he realised he wasn’t cut out for a regular 9-5 job and needed something physical to occupy himself. When he was 20, Alex moved to London with just enough for a couple months’ rent. He soon took a self-employed role as a personal trainer at a commercial gym. Alex’s interest in strength and conditioning continued to develop, alongside a growing ambition to share his knowledge and help support others. At 25, he decided to study for his BSc in Strength and Conditioning Science at St Mary’s, still working throughout as a self-employed personal trainer. In 2014, Alex graduated among the top of his class and achieved the outstanding academic achievement award for his dissertation on injury prevention and landing mechanics. Alex has been with PerformancePro for nearly five years. In an industry where staff turnover can be notoriously high, especially amongst trainers and coaches, we were keen to ask Alex why he finds PerformancePro exceptional to the norm. ‘I first heard about PerformancePro from one of my lecturers at Uni. He knew directors Mat Grove and Dan Boulle, both of whom had studied for their MSc masters degrees at St Mary’s. Dan is also a guest lecturer on one of the undergraduate programmes. My lecturer suggested I get in touch with them, so I rang that day and Mat invited me down. From PerformancePro’s point of view, it was clear to director Dan Boulle that Alex had what it takes and still does… almost! Even away from the gym, PerformancePro has played a significant role in Alex’s life. He very recently married a Physiotherapist he met working here! Needless to say, their lives tend to revolve around training and talking shop. Alex still loves his boxing, both watching and training occasionally, but his main focus sport-wise is weightlifting. His wife is from New Zealand, so they do manage to escape with lots of travelling over the last few years. Typically Alex trains 4-5 times per week with 1 to 2 longer weightlifting sessions (up to 2hrs). The other sessions fit around training other people. In the past, Alex has trained twice per day 4/5 days per week, but he has other more pressing priorities these days! Work ethic – be prepared to make the effort. Many people think it is easier than it really is and get disheartened when it takes longer than expected. Stress out – worrying about results doesn’t get results. Stress is the enemy of recovery, a key factor in training. Complain about results you didn’t get from the work you didn’t put in. Alex loves to read and listen to audiobooks, mainly selecting business/self-help type material. This keeps him motivated to work hard and be successful. His good friends and colleagues also inspire him, especially when they talk about their work. Training-wise, Alex admits to watching A LOT of weightlifting videos, mostly on social media. He likes to train in different settings to keep things fresh. This also reminds him he’s still got a lot of work to do!